In the 1960's, a family would gather around their television set ( more of them were black & white in those days ), whilst one kid was designated to carefully adjust the antennas, or perhaps the rabbit ears ), until the picture came in clearly. There weren't hundreds of channels, no HDTV, no Netflix, etc... Most of us only had 2-3 channels. People gathered in anticipation see what whimsical inventions our future may hold according to Gene Roddenberry's Star Trek & Hanna-Barbera's animated sitcom The Jetson's. Now 50 years later, you may be impressed to see how much of today's technology was first conceived by tv writers of the 1960s. I am going to focus on The Jetson's as William Shatner has already aired a special several years ago on How He Changed The World. 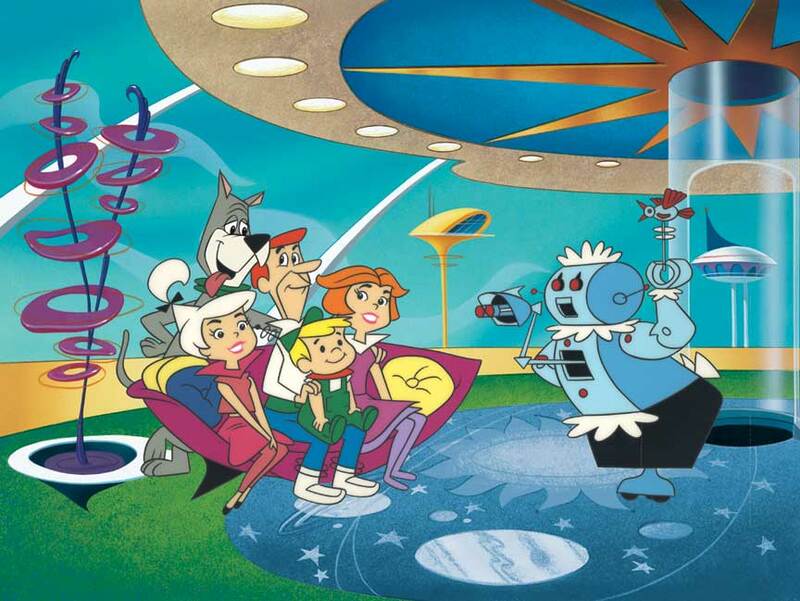 Of course, we all enjoyed Rosie The Robot, the beloved house cleaning robot & Jane Jetson's house cleaning at the touch of a button but are we all that far off now? iRobot has delivered us the Roomba, for floor sweeping, the Brava for mopping, they have even introduced a new robot to clean your gutters or pool. They may not refer to us by cute nicknames in the way Rosie called George "Mr. J", but they do a pretty good job of cleaning at a touch of a button. We are not just limited to interior cleaning at the touch of a button. Developers have come up with a robotic lawn mower too. Nothing like sitting back with a cold brew smelling the scent of fresh grass clipping as your lawnmower wanders around your lawn. Some do not realize that self-cleaning windows are already being manufactured. The LaFlamme Natura windows uses the sun's rays to loosen dirt which then easily washes away in the rain practically without a trace. They are also energy efficient in design. Moving sidewalks are now common place in most airports in North America. You do have to wonder if Edward Carlson & John Graham Jr were fans of The Jetson's when you compare their design for Seattle's Space Needle to the buildings of Orbit City. 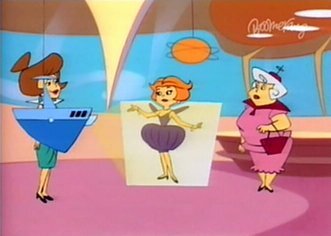 where Jane Jetson used the technology for shopping for new clothes. Astro, the adorable & loveable family dog that had evolved how to talk. Well no, our dogs have not evolved to have actual speech but some inventors have attempted & claim to have created a device that can translate your Fido's whines & barks into speech. So what futuristic technology that we are entertained by today will become our reality tomorrow? Perhaps you will be inspired to invent one yourself. There are many TV shows which are best for children. Latest TV shows are introduced by http://superiorpapers.org and children are getting entertainment form such TV shows. They are getting knowledge also with best TV shows. Animation of TV shows is also impressive.